March 21, 2018, 3:30 p.m. 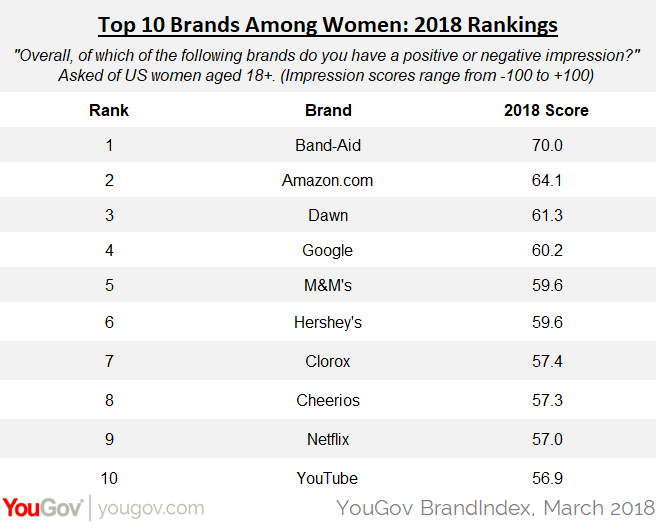 This year’s rankings of the 10 best perceived brands by women finds two new companies entering the list: Hershey’s at #6 and Netflix at #9. Appropriately, Hershey’s is virtually tied with M&Ms, making them a formidable duo of chocolatiers. Some of Netflix’s most successful original programming has prominently featured women in the leads: The Crown, Orange Is the New Black, The Unbreakable Kimmy Schmidt, and Grace and Frankie. Netflix also made the 10th largest gain in Impression score since one year ago. Craftsman, which Sears sold to Stanley Black & Decker in January 2017, fell from #8 to #12. Dove, which encountered backlash last October when it released an ad showing a black women turning white, also fell out of the top 10. 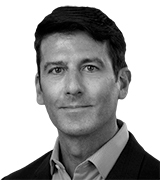 Band-Aid, Amazon, Dawn, and Google retained their same positions as one year ago. Likely on the strength of its award-winning series The Handmaid’s Tale, Hulu made the largest gains with women’s perception over the past year. Second-biggest improver TLC has garnered a reputation for successful quirky reality shows such as 90-Day Fiancé, Sister Wives, and Long Island Medium. Last May, YouGov BrandIndex noted that TLC had made significant perception gains among mothers. 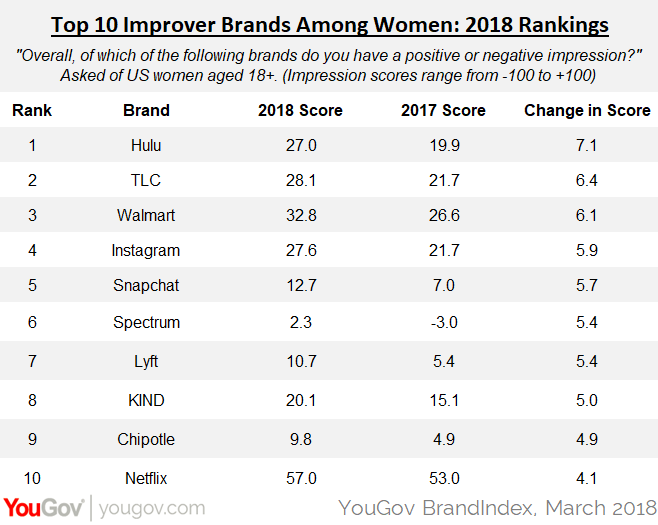 Walmart is the only retailer on the improvers list, while social apps Instagram and Snapchat made substantial inroads with women. YouGov BrandIndex measured more than 1,600 brands that it tracks daily with its Impression score, which asks respondents: “Overall, of which of the following brands do you have a positive or negative impression?” A score can range from -100 to +100 with a zero score equaling a neutral position. Results were filtered for women aged 18 and over.